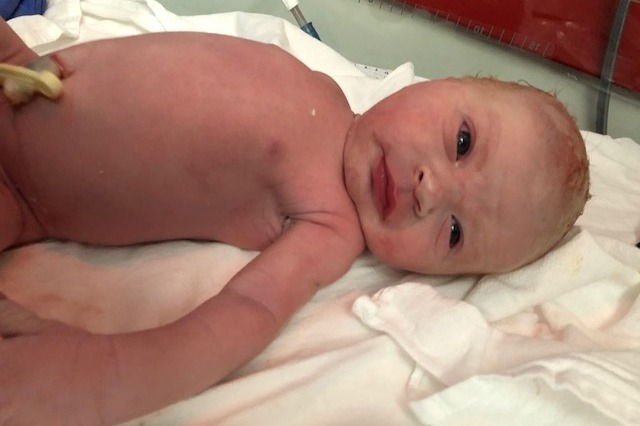 Our sweet baby boy Magnus was born on June 16, 2018. Shortly after birth he was diagnosed with SMA - spinal muscular atrophy. Magnus has SMA type 1a, the most severe type, of this genetic disease with onset beginning in utero for him. SMA is caused by a mutation in the survival motor neuron gene 1 (SMN1). In a healthy person, this gene produces a protein that is critical to the function of the nerves that control our muscles. Without it, those nerve cells cannot properly function and eventually die, leading to debilitating and often fatal muscle weakness. Individuals with SMA have difficulty performing the basic functions of life, like breathing and swallowing but SMA does not affect a person’s ability to think, learn, and build relationships with others. We feel fortunate to live in Canada/BC with the supports of the healthcare system and the medical advances that exist in 2018. As of mid August 2018, we've made 4 trips to Vancouver to visit the neurology team at BC Children's Hospital who have been integral in Magnus’ care plan. 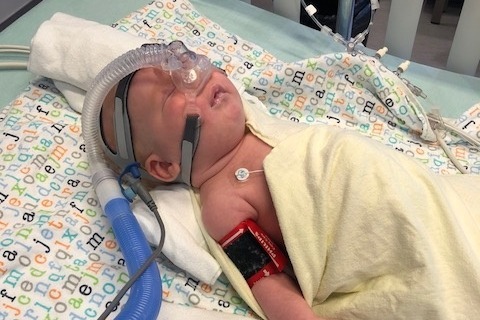 Supports for Magnus include a BiPAP machine to support his breathing and he has undergone G-tube surgery to support his future feeding needs. At BC Children's, Magnus has so far had 3 loading doses of the drug Spinraza , via lumbar puncture, which we are receiving from drug company Biogen on compassionate grounds. This ground breaking drug is the first-ever approved treatment that targets the underlying genetics of SMA and may provide Magnus with potential benefits, slowing the progression of the disease. 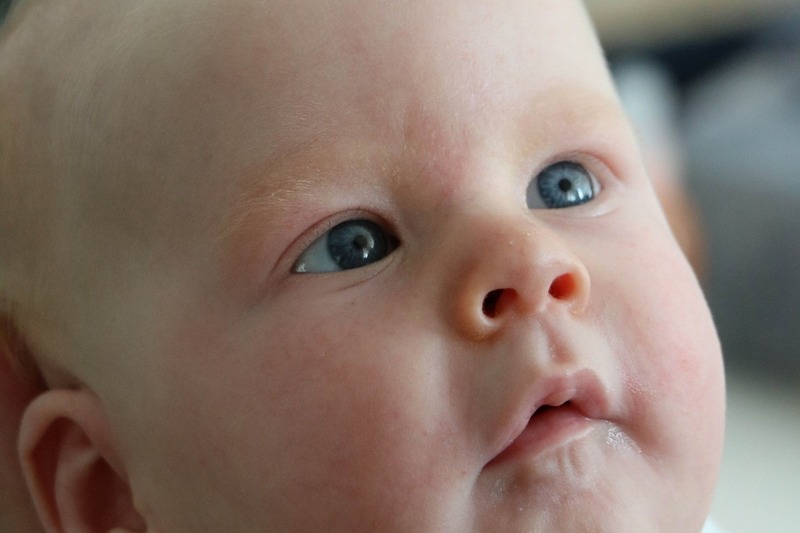 Drug trials did not include symptomatic babies of his young age and hence the potential effects are unknown. We are adjusting to our new life with our baby boy who has special needs and who will be in our care for an indeterminate amount of time - we are savouring every precious moment with Magnus. Check out this beautiful video on Vimeo for a glimpse into our family life courtesy of the hugely talented and generous Shea of Coastal Lifestyles Photography in Victoria. 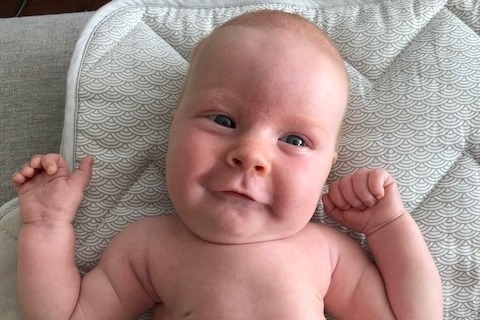 Happy to share that Magnus is making gains in movement as opposed to atrophying. Magnus isn't cured but works very hard to build strength and we're hopeful he'll be gracing us with his bright light for the foreseeable future. There’s lots to worry about and prepare for when you’re having a baby. With Magnus being our first baby we know nothing different with a new baby. What we know is that he owns our hearts and raptures the hearts of many of those he meets - he’s the sweetest little guy. 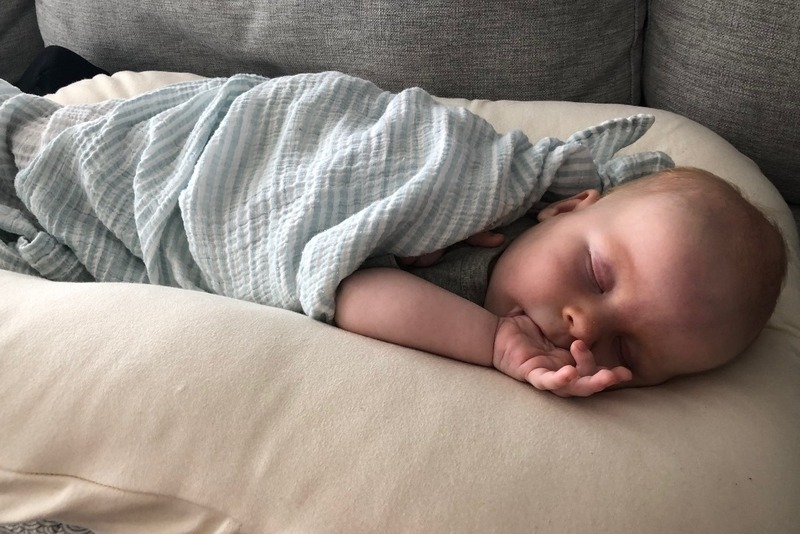 Today - Saturday September 8th - is a milestone with Magnus being three months old. The projected life expectancy for someone born with SMA Type 1 is an average 18 months. 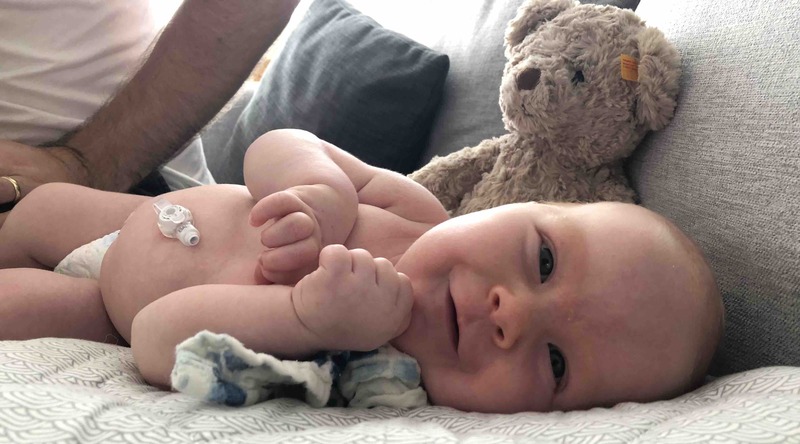 We were made aware of the severity of his diagnosis in the first week of Magnus’ life while still in the Victoria General Hospital neonatal intensive care unit. The advancement of the new drug Spinraza and other emerging drugs challenge this average life expectancy. 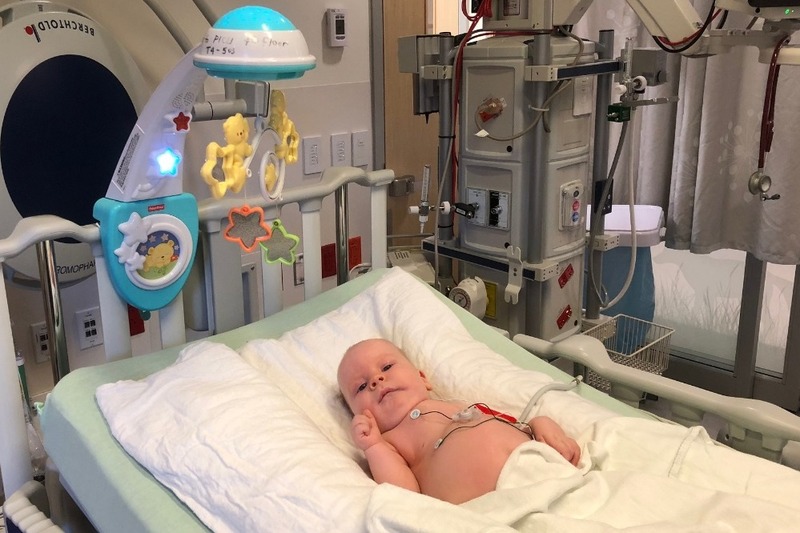 On September 5th Magnus had his 4th and final loading dose of Spinraza - we now transition to one dose every four months and travel to Vancouver for his next dose in January 2019. As we transition into fall and the colds and flus that accompany this season our world will shrink as we become more protective of Magnus. His weak cough and chest muscles will struggle to clear a potential sickness and we’ll try our best to keep us and him healthy through the winter. We’d like to extend our gratitude to everyone who took the time to read about Magnus, made a donation, and/or in some other way reached out to us. We’re so grateful, humbled and appreciative. Donations support our family staying at home and spending as much time together as possible and helping us cover any unanticipated expenses. 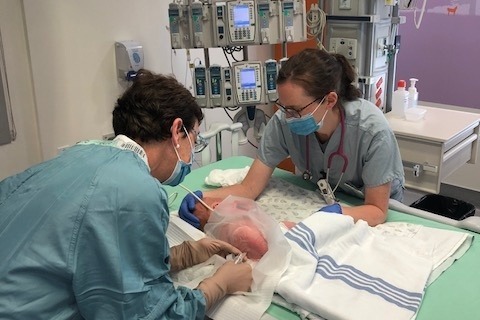 We're also incredibly grateful to the various specialists and health care professionals, both in Victoria and Vancouver, who are supporting us and Magnus. Any improvements of his condition are a direct result of these dedicated individuals.